Making the Winter-to-Spring transition fashionable can be sometimes challenging. Since the weather here in North Carolina is so unpredictable around this time of the year, planning what to wear isn't easy. I've always called my style emotional, because I dress depending on my mood, however, I first check the weather report before I put my emotions to work. 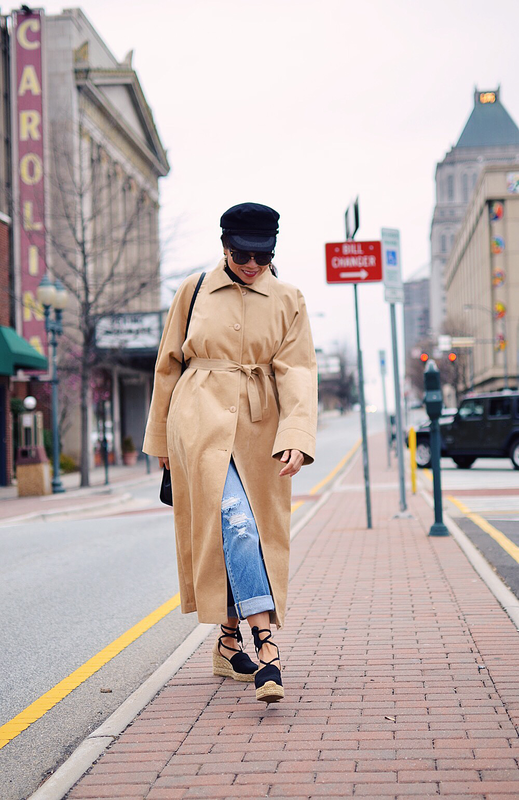 I've been looking for a maxi camel coat for a while now and earlier this week, I finally came across this 80's oversized coat made out of a very thin suede. This is the type of garment that one size fit most, and it certainly fits me like maxi, they way I wanted. The day of this photoshoot, I wanted to wear something comfortable to go to my chiropractor, but not too warm for a 58 degrees weather. 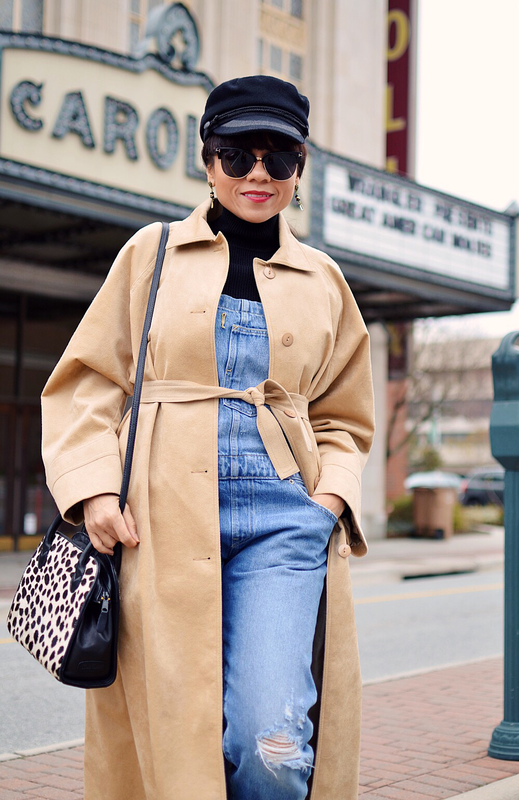 A denim overall paired with my new duster-like coat seemed to be a good idea and nothing screams Spring-time more than a pair of classic espadrilles, therefore, I selected them to wear with this ensemble. Sunglasses: c/o. Tom Ford. They are available here. Coat: Vintage. I found a similar style here. Hat: H&M. Try this one. Earrings: c/o. Frederick Prince. Available here. I like the espadrilles option!! Totally agree with you, the weather is crazy. The hardest thing to do is packing a suitcase. Crazy! Exactly!! You have to think about shorts and coats at the same time.